During the last week of March, I participated in the AIIM Conference 2019 (#AIIM19). This end-user conference is the yearly gathering of the #AIIMTribe as AIIM, the Association for Intelligent Information Management, likes to call their members in general and the attendees in particular. Significate differences when comparing this conference with the vendor shows in the Information Management space (like Microsoft Ignite or OpenText Enterprise World), are ‘Vendor Neutral’ and ‘Sharing & Caring’. The AIIM Conference, though sponsored by vendors, is Vendor Neutral. It has 3 key notes none of which are by a vendor or in cooperation with a vendor. The vast majority of the sessions are roundtable discussions where the topics are some form of business challenges in our domain. If a vendor happens to be the host, the goal is to gather feedback rather than selling their products. There is a strong believe in the #AIIMTribe that this week is not for sales. There is a limited number of vendor-breakouts which were conveniently hosted inside or next to the expo. Again, to ensure that the focus is on what needs to be discussed from a business challenge perspective in our Intelligent Information Management domain. Not only has the AIIM Conference that focus, it also facilitates the sharing and caring. Through Braindates or RoundTable sessions, knowledge is shared amongst the attendees. And there often is room to go beyond that. True caring about the challenge someone has, by providing as much hands-on tips and tricks to allow that attendee to return home with new energy and extra knowledge to fight the, sometimes, upstream battle. Old friendships are renewed, new ones are made. First-timers are welcomed with open arms and their own session to learn about the conference etiquette. It is because of the above that I deliberately stated that I participated in the AIIM Conference rather than that I attended it. As a result of my participation, I gathered a lot of feedback that I can use in my day-to-day work. But there is one area that I like to explore a little more here and now. And that is the role of Office 365 in Intelligent Information Management. During the various sessions I participated in at #AIIM19, I observed that many organisations struggle with Office 365. Based on the message that Microsoft is broadcasting, adoption is a challenge. To me that translated into: we have it, we went through the implementation up to rollout, but users aren’t using it at all or not up to the level that we’re aiming for. 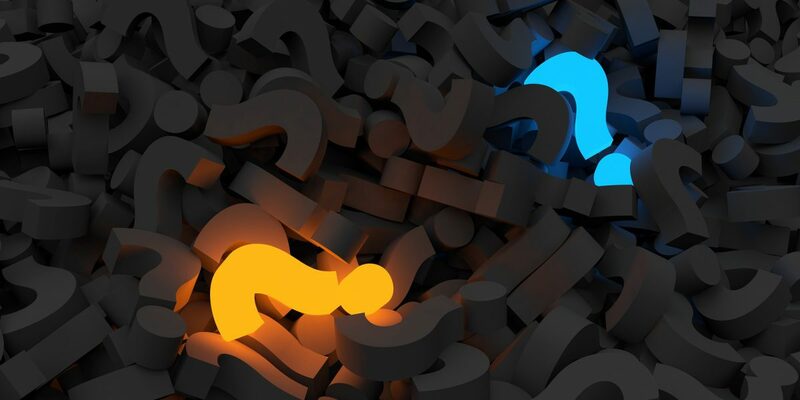 At #AIIM19, I became aware of a fundamentally deeper adoption problem. A problem that should be dealt with long before the implementation starts: What! What is our continuous change strategy? What Office 365 tools do we use? What business activities do we use it for? Next to these main questions, there are some other interesting topics to discuss, but for now I don’t want to be side-tracked from these four. An ever-changing collection of digital products, apps and services that provide productivity features. With Office 365, products come and go, apps come and go, and services come and go. Keeping up is maybe hard but catching up can even be harder to do. The common approach that Microsoft is taking, is to introduce new products, apps and services with a fixed set of features known as the Minimal Viable Product (MVP), followed by corrections and enhancements over time. These changes are a direct result of the feedback on the usage of the product, app or service, in combination with planned new developments from their roadmap. Being part of this growth-path is an easier route to follow than stepping in later. You learn and grow along with Office 365. Maybe you don’t need to be in the group of Innovators but being part of the Early Adopters will bring advantages over the Early Majority group. More on this can be read in Everett M. Rogers’ book Diffusion of innovations. Back to the continuous change that Microsoft brings to Office 365. To cope with this, you need a continuous change strategy. Ideally, it should be a continuous improvement strategy. With the dependency on Microsoft to make the ‘improvements’, it makes it difficult to guarantee that their change is indeed an improvement for you. And even if the changes turn out to be everything but an improvement, chances are that the change will happen beyond your control. I therefor propose to acknowledge the end-user’s perception (Continuous Change) but apply a continuous improvement methodology. Continuous improvement is an ongoing, long-term approach to improve processes, products and services. In contrast to change management, continuous improvement occurs gradually and aims to make small incremental changes over time. Continuous improvement looks to change and improve business processes to increase efficiency and reduce costs. As most changes are small, there is often less resistance and take-up is greatly improved. What you should not do, is ‘just’ turn features of due to the speed of change. There is however nothing wrong with an educated decision to not use a product, app or service if that doesn’t fit your needs. 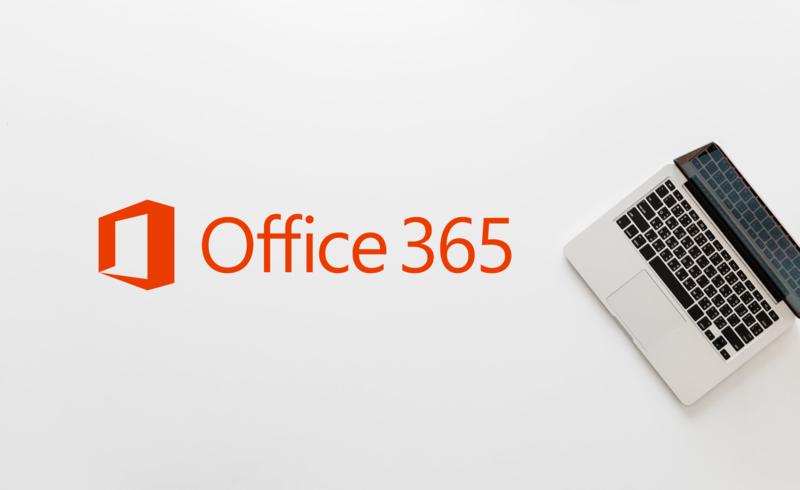 Once you understand what Office 365 is and you understand the vision, strategy and roadmap of Microsoft for Office 365 – which btw is a process, not a task – you have the knowledge to match this with the existing internal tools that provide a similar functionality. For each match, it is for you to decide what to do: switch to Office 365 or keep using what is already in use. This should go beyond just a financial decision. Of course, it comes ‘free’ with Office 365, but that is only a small portion of the impact. And for those products, apps and services that are part of Office 365 where there is no match, you maybe have no requirement. That is fine. Maybe you do and then what do you do? The last thing you should do, is to throw it at your end-users and let them have there go at it. Let’s first define what to use it for from a corporate point of view. 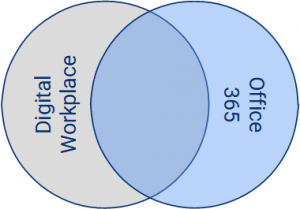 The digital workplace / Office 365 and your Intelligent Information Management (IIM) backbone are not two independent silos that you need to connect. Don’t get me wrong. Yes, they need to be connected but they are not two independent silos. Your IIM backbone is the means to support the capture and management of your enterprise information that is floating through all your business processes. So, instead of looking at a problem of two silos, look at it as the problem of two backbones to support your business processes. Office 365 is the backbone for those business activities that are typically not so well supported in your IIM backbone. The Office 365 backbone is the means to support the creation, maintenance and usage of your enterprise information containers (≈ your documents) in the context of business activities. Office 365 for instance provides the means to collaboratively edit a document. 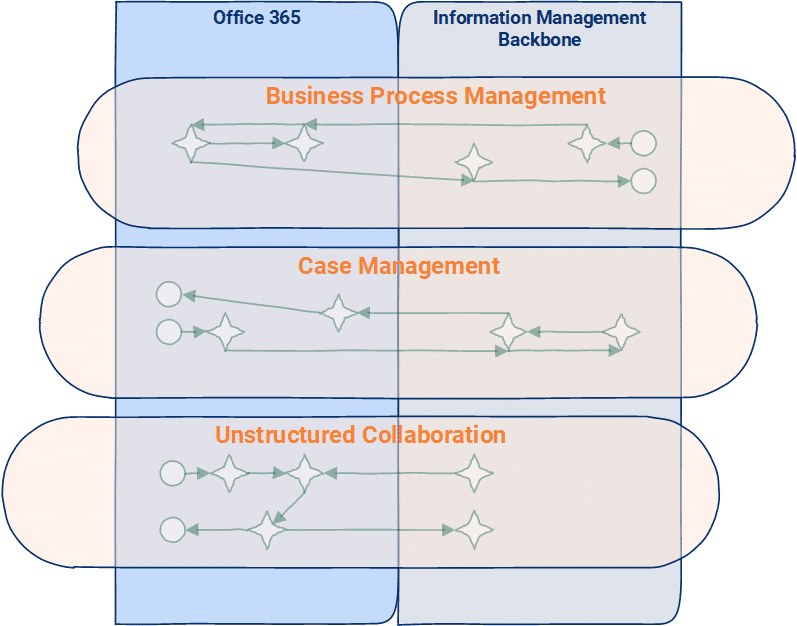 If your business process that deals with contracts is greatly improved by collaborative editing or reviewing of a contract document, then connecting those Office 365 products, apps and services with your IIM backbone makes sense (or better: I will strongly suggest looking into the many places where these activities are now done sequential and iteratively…). Your next step would be to plot your business processes and identify where the Office 365 products, apps and services provide added value. With that inventory you can start the implementation of Office 365. An implementation that must include various levels of education, governance and change management. If done right, adoption will come naturally. And just in case: all leading IIM vendors have already productised the integration with Office 365 themselves or through a partner.